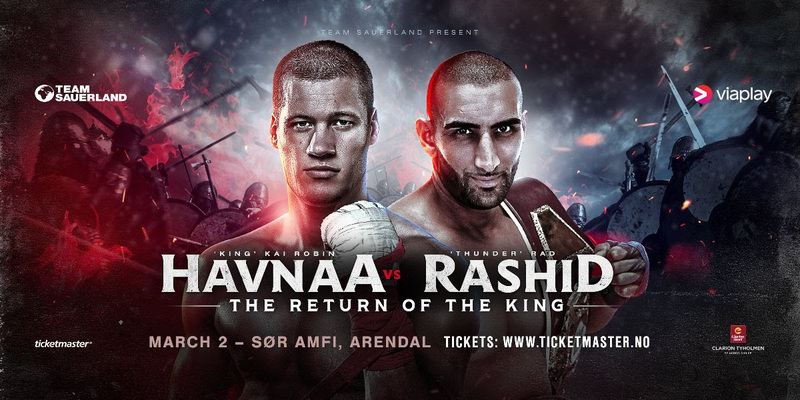 Katharina Thanderz (10-0, 2 KOs) returns from injury to face Rachel Ball (4-0) as chief support for Kai Robin Havnaa’s cruiserweight showdown with Rad ‘Thunder’ Rashid on March 2 at the SØR Amfi in Arendal. Thanderz was scheduled to defend her European Super Featherweight title against Elhem Mekhaled on December 22, but suffered a herniated cervical disc in sparring, forcing her to withdraw from the contest and vacate her title. Now fully recorded, the undefeated former EBU and WBC International Champion plans to kick-start the year with a victory over the unbeaten Brit Rachel Ball before targeting more titles in 2019. “I will be training in Spain for this fight, doing my boxing training at the Vista Gym in La Nucia with my boxing coach Jesus Labradador, and my physical exercises with Christian Marcet at Odin Athletes. We plan on bringing over two sparring partners to ensure I am one hundred percent ready for the fight. One of them is Nina Bradley from the UK, who I have trained with in the past. “I think Rachel Ball seems like a tough fighter, and I am sure she will come well prepared to face me. She is also unbeaten at the moment, so I expect she will be hungry for victory. Nevertheless, I will be more prepared than ever, and I’m looking forward to ending the fight with 11-0 as my new record. Katharina Thanderz provides chief support with an eight-round super featherweight clash against Rachel Ball, Hadi Srour meets Zoltan Szabo in a six-round super lightweight contest, while middleweight Anders Eggan faces Frane Radnic over six-rounds. More undercard fights to be announced shortly. Tickets are available via www.ticketmaster.no or by calling (+47) 22 82 81 97.